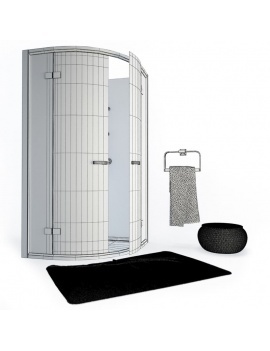 Our 3D models of Bathrooms are virtual objects designed to furnish or accessorize a bathroom. 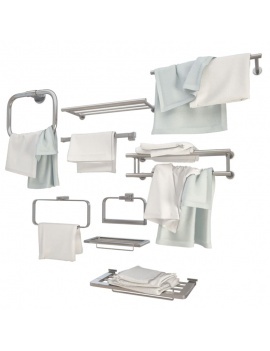 Find your furniture, shower cubicles, basins, bath products or decorative accessories adapted to your bathroom. Modelled on 3Dsmax, all our balneotherapy objects are downloadable in .Max and .Obj. 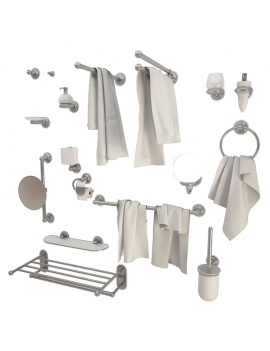 3 Set of Bathroom Accessories for your 3D shower. 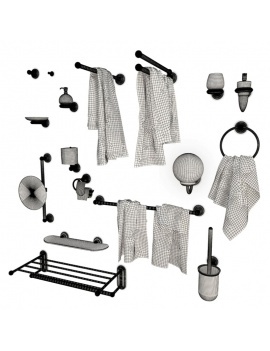 Set of Shower corner and Bathroom Accessories for your 3D shower. Set of 9 metal towel holders in 3D. 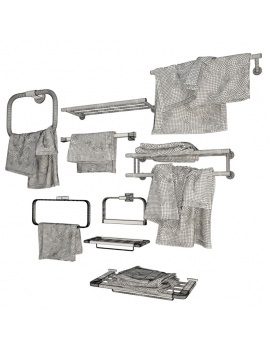 Set of 17 3D metal wall accessories for bathroom.